The bomb campaign by unemployed Philip McHugh prompted one of the largest investigations ever undertaken by Hertfordshire Police. 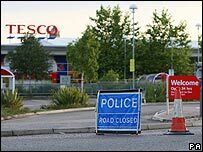 Between April and July 2007, McHugh sent demands for £50,000 in cash and bomb threat letters to Tesco supermarkets across the country. Threats made to the supermarket giant led to 14 of its stores being closed on one day. 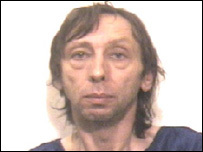 McHugh, 52, was arrested in Clitheroe, Lancashire, on 23 July. Before police managed to track him down he had forced the closure of stores in Lancashire, Suffolk, Leicestershire, Humberside, Herefordshire, West Yorkshire, Nottinghamshire and London. At the time of the hoaxes, Tesco retail and logistics director David Potts praised his staff for their "utmost professionalism". But McHugh's campaign was not the first time supermarket chains had been targeted by blackmailers, or become victim to bomb threats. In 2004, a 43-year-old man was jailed for two years after he called 999 from a phone box in Bristol city centre and told the operator there was a bomb in a nearby Tesco store. He stayed on the line for 13 minutes until police arrived at the scene and arrested him. In 2001, Robert Dyer, from Bournemouth, was jailed for 16 years after attempting to extort hundreds of thousands of pounds from Tesco in a letter bomb campaign. He copied his extortion plot from Rodney Witchelo, a former Metropolitan Police detective who tried to extort £4m from Heinz. He was jailed for 17 years in 1990 for spiking jars of baby food on supermarket shelves with razor blades and caustic soda. In 1999, Edgar Pearce, the so-called Mardis Gras bomber, was jailed for 21 years after admitting a three year blackmail and terror campaign against Barclays Bank and Sainsbury's supermarkets. There were more than 22 incidents in and around London from when he first struck in 1994. He made at least 36 devices, some of which injured staff and customs, and spent months stalking and photographing customers of the supermarket chain.